Take a normal blue moon white, and make it sweeter. I really enjoyed this beer. I made the mistake of having my first Oktobrefest of the season right after this beer. I was utterly disappointed in the Sam Adams. 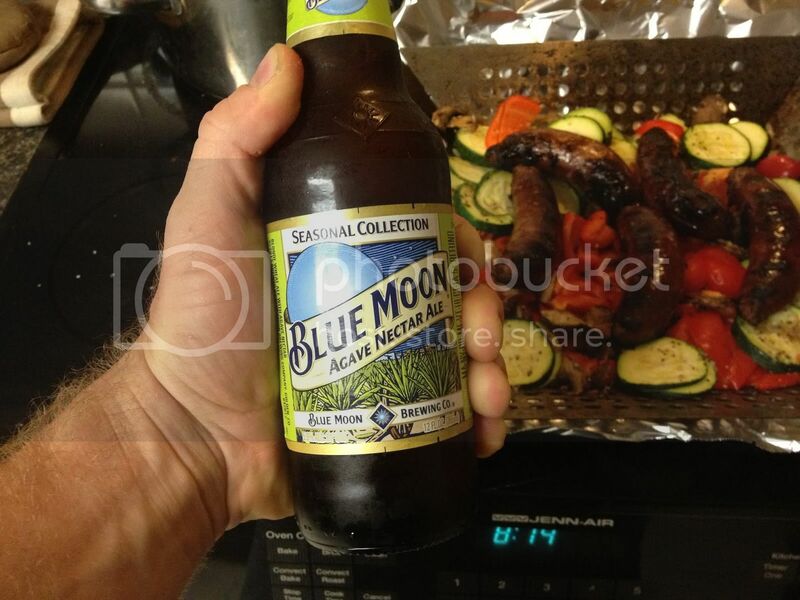 I normally relish my first Fest Bier, but the flavor of this Blue Moon overpowered anything the lager had to offer. I haven't seen the Agave Nectar ale around...more than likely because I haven't made it beyond my Flying Dog section lol. Will give it a try! Is that your pairing suggestion in the background there? Both look delicious! With Fall comes an onslaught of the seasonals...I still want try that Pumking beer if I can get my hands on some this week. Cheers! Patterson Pumpkin Full Tilt. I normally don't like many Pumpkin beers....too trendy and "momentary" - but this one is actually VERY nice. Very strong though lol..it's a sipper for sure!! Very dark color - similar to Chimay/Belgian darks with a noticeable pumpkin front note with assorted spice tones but not too sweet or unpleasantly over-malty on the finish at all. I have always favored the darker ales and this one is actually making my extremely small "Seasonal Favorites" list. Found a 4-pack up at the Kent Island Depot for around $10 - so even the price isn't hateful at all. Weighing in at a nice 9% ABV - handle with caution and enjoy! 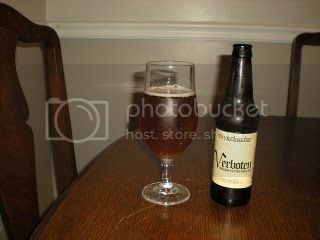 Weyerbacher Verboten is a Belgian pale ale. This is my first venture into this breweries many offerings, and I may have to try some more. It has a bready + sugar sweet aroma with the taste to match, followed by a slight hop aftertaste, with just enough carbonation. It has some sediment in the bottle, which some view as a negative, but I like it. This beer happily surprised me. I took a chance and was rewarded. 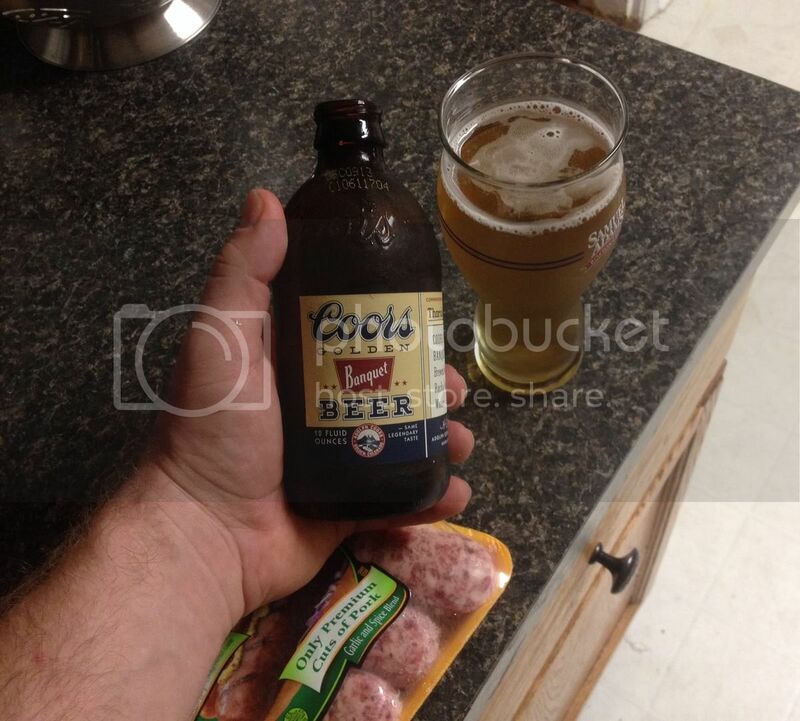 It is exactly what you want a Coors to be. It is just beer. It's smooth, it has some flavor if you think about it but not enough to detail the experience, and most importantly it doesn't have that awful bitter taste most mass produced American beers have. At 5% you can have more than a couple and not be sick of them or sick from them. It was $6.50 for the 6 pack of 12oz bottles, so not quite craft brew prices, but a step up from regular Coors. Remember the movie Smokey and the Bandit from the 70's? That original Coors was not available east of the Rockies or the Mississippi, something like that...it was against the law to have it here, the premise of the movie, going west to get it. Well, it's back, though I think it actually never left, it just wasn't in large distribution. It's like a craft beer with a higher alcohol content like Rob stated. Regular Coors is like Bud, Coors lite is like bud light and so on. Banquet Coors to me in the same category as Yuengling....just my 2 cents. I've had it, I like it and I like those stubby bottles...like red stripe. Give it a try, Bakers has it. BTW SG; No need for mustard with my brats. After they are browned on the grill, I give them a 10 minute bath in boiling Octoberfest.